I was inspired by the colors of this week's Dynamic Duos DD#72 to make some cards for some of the Breast Cancer Challenges that I've been seeing, now that it is October. 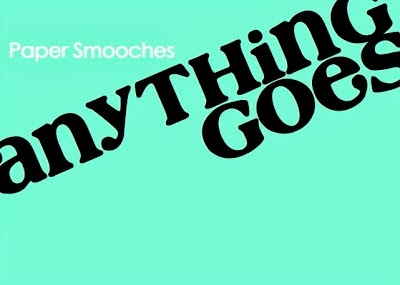 I am also entering these cards into the Anything Goes Challenge this week at Paper Smooches Sparks, as well as Link Up for Pink. This week has really run away from me, and I realized that I needed to stop and post the two cards that I have made so far, or I would miss the Dynamic Duos deadline. 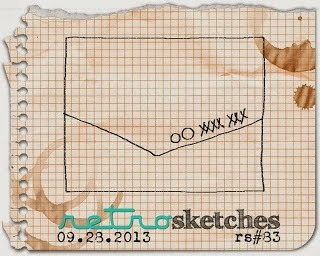 My first card uses the sketch from this week's Retro Sketches rs#83. My second card is also for the Hope You Can Cling To Challenge at Splitcoast Stampers. Stamps used are Hope and Graffiti by Paper Smooches and Fight Like a Girl by Amuse. Two absolutely awesome cards Joyce! I love the sentiment on the first! Wow! Love these CAS cards!!!! Fabulous!!! Wonderful card Joyce. The heart ribbons on the first one just pop off the page. You have given me more inspiration for the cards I'll make and donate to our cancer center. Two perfect CAS cards Joyce - love the way the sentiment fits the RS and the second one is powerful in it's simplicity! So glad you posted Joyce, I love both of these card but your first card's background is so fabulous! 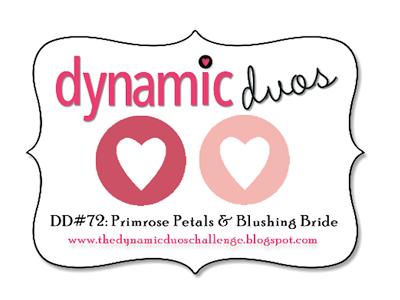 Thank you so much for joining us this week at Dynamic Duos! Gorgeous cards Joyce! I really love that first one with the stamped background and the way you added the sentiment to the slanted edge… love the deep pink you used as well. Time is going by way too fast! These are both wonderful, Joyce! Gorgeous cards, Joyce! I'm in love with the first one - the stamped background contrasting with the bright white is stunning! Beautiful CAS cards!! Both are just great! 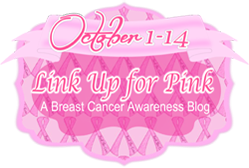 Thanks for joining Link Up for Pink linking party and look forward to seeing more of your creations here. Beautiful cards, Joyce! I particularly love the first one with the wonderfully stamped pattern and the sweet sentiment! Both of your cards are amazing! Love the color combo's and the clean and simple look of the last one. TFS! Great cards, love this color combo and the clean and simple style. Thanks for sharing. So pretty and elegant! Love, love! Joyce your cards and very pretty. I am very glad you entered this week at LUFP. I hope you had fun!!! See you back very soon to play in another fun challenge. Remember to get the girls checked and remind a friend! :-) Together we can beat Breast Cancer!! !